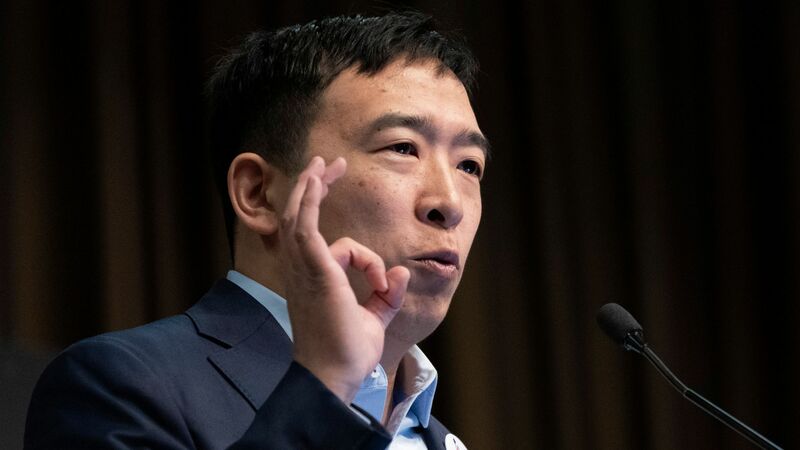 Democratic presidential hopeful Andrew Yang told a CNN town hall that giving every American adult a $1,000 per month "freedom dividend" would help stimulate the economy. What he's saying: "This would create 2 million new jobs in our economy," he said, in response to a question on artificial intelligence contributing to job losses. "It would make children and families stronger and healthier and help tens of millions of Americans transition through what is the greatest economic and technological transformation in our country’s history." Why it matters: In a Roosevelt Institute report, it estimates a proposal such as Yang's could expand the U.S. economy by 12.6% to 13.2%. Other countries have explored versions of universal basic income like Yang's idea, including Canada, India and Finland, to mixed results. Stockton, California, became the first place in the U.S. to experiment with the funding mechanism, after it began an 18-month guaranteed income trial in February. The other side: Critics have questioned the funding of such a program. Marshall Steinbaum, an author of the Roosevelt Institute report, told CBS MoneyWatch in February thata if the basic income were paid with value added tax, "you undo all of those gains because you're causing poor people to pay for this, which undermines the argument for why we need a UBI to begin with." He believes taking on government debt would be a better way to fund the scheme.